Unintentional drowning, and not motor vehicle crashes or some other category, is the leading cause of injury-related death in children under 4. These victims are small and fragile. So, just a few minutes under the water is sufficient to cause irreversible brain damage or death. Due to the serious and stunning nature of these injuries, substantial compensation is usually available. This compensation normally includes money for economic damages, such as medical bills, and noneconomic damages, such as pain and suffering. Perhaps more importantly, a legal claim often brings about justice. The tortfeasor (negligent actor) is clearly identified, as is the cause of the drowning. Hopefully, these things will prevent future similar drownings. Even in large groups, youngsters sometimes drift too close to the water. When several people are in the vicinity, each thinks that someone else is watching the child. In these situations, swimming pool owners have a clear duty to keep their pools safe. This duty also applies if the child is a trespasser. The attractive nuisance rule applies to places like swimming pools, where children are likely to play and likely to suffer serious injury. Furthermore, the cost of protecting the pool is rather negligible, as outlined below. Self-closing and self-locking latches which operate from the pool side of the gate. Brandon and other Florida municipalities often have their own swimming pool safety laws. If that’s the case, these local laws usually control. 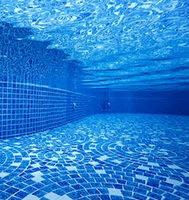 If the pool safety devices did not pass muster under the safety law, and that failure substantially caused the victim/plaintiff’s injury, the swimming pool owner might be liable for damages as a matter of law. Typically, the victim/plaintiff must also prove that the owner knew, or should have known, about the defective condition. At public and semi-public pools, like apartment or hotel pools, a slightly different set of rules applies. These facilities must have certain lifesaving equipment within easy reach of the pool area. Poorly-maintained drains may be a problem as well. These objects create undercurrents which are especially dangerous for children and inexperienced swimmers. The defendant has the burden of proof on each prong. For example, the defendant must prove the victim voluntarily assumed the risk. The sign must be clearly visible, the victim must have been able to read it, and the victim must have been able to fully understand it. On a related note, swimming pool poisoning may be a bigger problem than swimming pool drownings. Chlorine and other harsh cleaning chemicals often cause chemical burns if the quantity is just a little too high. Some owners go the other way. They neglect pool cleaning, and that allows deadly bacteria to grow and thrive. Drowning victims may be entitled to substantial compensation. For a free consultation with an experienced personal injury lawyer in Brandon, contact Reed & Reed. We have four area offices (St. Petersburg, Lakeland, Tampa, and Clearwater).